What a way to kick off WJF18! 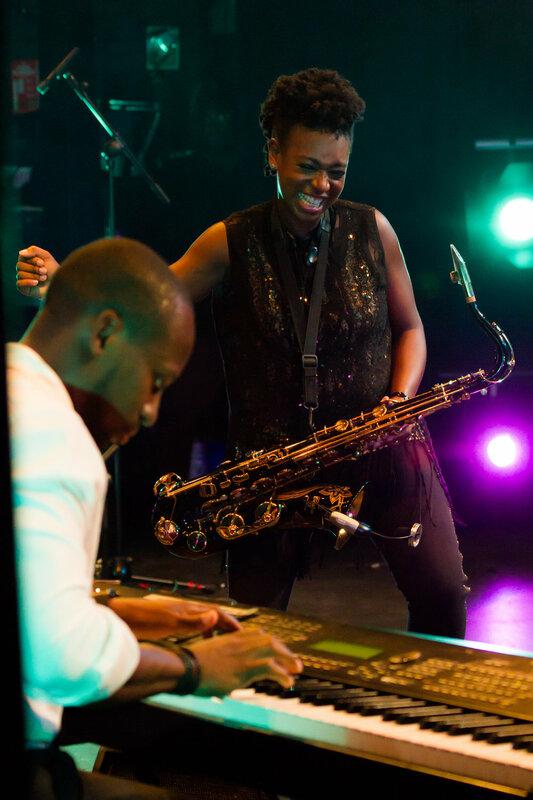 MOBO award winning saxophonist YolanDa Brown brought her band to the Theatre Royal and had Winchester standing up before the end of the first half. After inviting our patrons and sponsors to a reception hosted by the wonderful Cabinet Rooms, we walked across the road to the theatre to witness YolanDa’s fusion of jazz, soul and reggae. Playing songs from her latest album Love Politics War, the band completely enthralled the audience. I don’t think Winchester has ever seen such an energetic and powerful performance! Thank you so much to the Cabinet Rooms for hosting our reception, and to Deryck and his team at the Theatre for organising such a brilliant show for the opening night of this year’s jazz festival. We are incredibly grateful for everyone’s support this year. There are still three days of live music across the city so make sure you get your tickets for all of our amazing events coming up!